Stourmouth seems oddly named now that the River Stour is several miles upstream at Pegwell Bay. However, in the days when the village was named, this was indeed where the river met the sea. 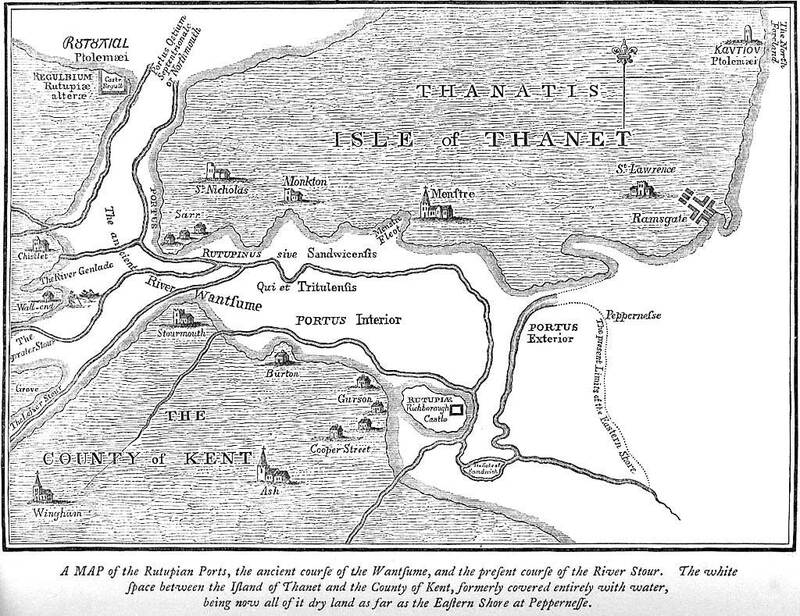 The Stour flowed into the Wantsum Channel which separated the Isle of Thanet from the rest of Kent. In Roman times Stourmouth was probably under water but the waters gradually drained and the Stour came to follow its present course. The land eventually became suitable for cultivation and settlement. During the Middle Ages Stourmouth must have seemed like a coastal village as ships sailing to and from the port of Fordwich near Canterbury would have passed by on the Stour. 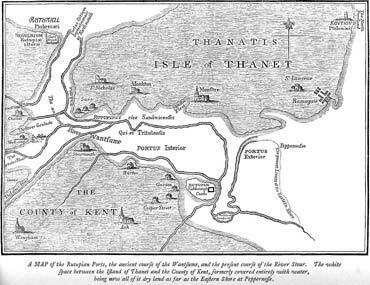 However, the channel silted up and by about 1500 Thanet was an Isle in name only.